How long have you worked in business tourism? Isabelle Adjani, a photographic exhibition. It all started through pure luck and because of a passion of mine. 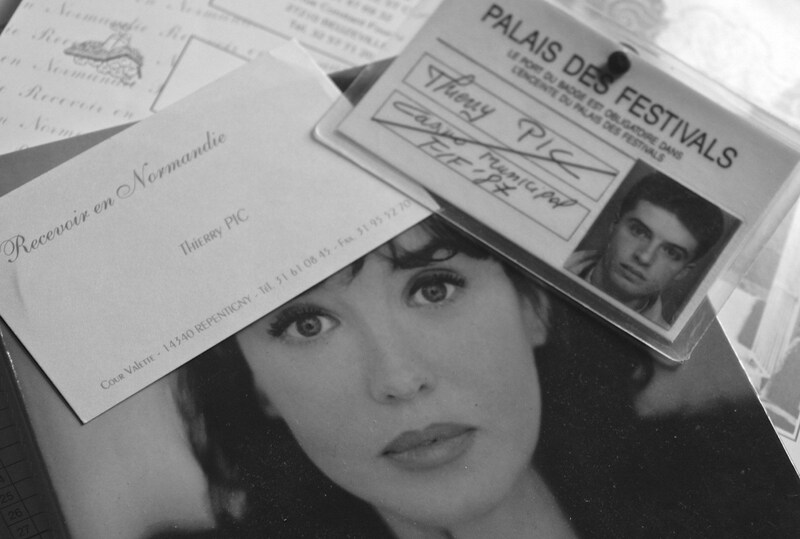 I was a student and a huge admirer of the actress Isabelle Adjani. I collected everything I could about her. Everyone knew of my passion and friends who worked in public relations and at Dior supplied me with press cuttings or photos. I still have those scrapbooks, organised by theme: fashion, cinema, beauty, etc. In the third year of my studies, I dreamt of organising a photo exhibition dedicated to Isabelle. At that time she was very protective of her image and there had never been an exhibition in her honour. I decided to throw caution to the winds and contact her via her agent and the photographers with whom she worked, such as Dominique Isserman and Marianne Rosensthiel. 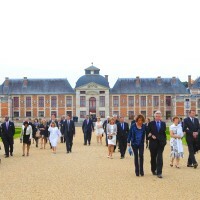 Initially, my intention was to hold the exhibition at the Hotel Normandy in Deauville. I already had the agreement of Fred Welke, director of the establishment and well known in the area. Sylvie Del Giudice, public relations director of Lucien Barrière Hotels, thought it would be better to hold it in Cannes during the Film Festival at either the Majestic Hotel or the Croisette Casino. I waited for Isabelle’s agreement regarding the selection of photos – which was took a long time and a lot of phone calls! I was doing an internship in Paris and staying with a childhood friend. It was his number on the letter I had sent with the dossier to Isabelle. One evening the telephone rang, my friend answered and I heard him say, “Hold on please.” He held out the phone to me saying, “It’s for you, she didn’t give her name but I think I recognise the voice.” I took the telephone from him and, lo and behold, “Good evening, Isabelle Adjani!” My heart skipped a beat. She told me that she had been extremely touched by the dossier I had sent her and gave her agreement for me to talk to the photographers, make a first selection of photos, and get back to her. I had achieved the first step! We planned to meet later on, after I was further along in the choice of photos. I went full speed ahead on the project, but then one day received another call from Isabelle. As a result of a rumour that she was suffering from AIDS, she told me that she wanted to delay the exhibition, that she was tired of it all and that she needed to fully focus on the filming of Camille Claudel, but that we would keep in touch. What a huge disappointment! The following day it was announced in the media that Isabelle had passed away in the Timone Hospital. All my friends called to give me the news and to say how sorry they were and all I could do was keep repeating that it was wrong, that I knew she was not dead because I had spoken to her the previous evening. Sick at heart, I contacted everyone to say that the exhibition was postponed and I never heard again from Isabelle Adjani. On learning of the postponement, the PR Director of Lucien Barrière suggested that I went to Cannes to work with her during the Festival. I was just a month off completing my Diploma and I have to admit that my parents were totally against the idea. But it didn’t matter, it was such a brilliant opportunity and I was not going to pass it up. So off I went, despite everyone advising me against it, and found myself thrown into the whirlwind of the Cannes Film Festival. I worked in the public relations department of Lucien Barrière Hotels, the headquarters of which were based in Cannes at the time. When I arrived, the first person to welcome me to the Majestic was Mr. Lucien Barrière himself, who escorted me to my office just next to his! I was responsible for three areas: i) liaising on behalf of the hotel with TV programmes, ii) interviews and photos, and iii) welcoming the stars. 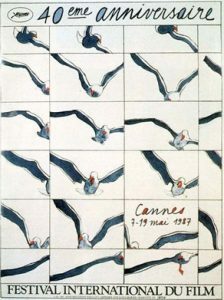 At that time, there were two TV programmes staged from Cannes: ‘C’est encore mieux l’après-midi’ on the Majestic beach and ‘Etoiles et Toiles’ on Palm Beach. It was 1987, you must have experienced some amazing moments at Cannes. Tell us a couple of anecdotes. Yes, it was far from my student life and wildly impressive. For example, Hermès was celebrating their anniversary and asked us to find a star to blow out the candles on their cake, which is how I found myself knocking at the hotel room door of Catherine Deneuve, who, sadly, politely declined. My thoughts turned to Sophie Marceau, with whom I had built up a bit of a rapport. At the time she was not yet the star that she is today. This time, it was Hermès that declined the proposal. There was an ‘hommage’ to Bette Davis. She was supposed to climb the stairs but she was in a wheelchair. We took her to the stage via some passageways and guess who held her upright during the photocall while keeping out of the shot?! That year, Paul Newman was in the running for an award as director of the film ‘The Glass Menagerie’ which starred his wife Joanne Woodward. The paparazzi were constantly on the lookout for them. There I met a young photographer by the name of Philippe Baldini. Lucien Barrière had negotiated an exclusive photo shoot with Paul Newman in his apartments at the Majestic. We needed to find a photographer at short notice; I suggested Philippe Baldini who got the exclusive and his photos were published the next morning! Me stuck in a lift with Anthony Delon pursued by hysterical fans. Crashing headlong into Brigitte Fossey at the entrance of the Hotel Majestic. On the dance floor with Grace Jones. Liz Taylor looking sublime for her comeback at Cannes. During that time, I was lucky enough to have a room at the Majestic on the staff floor in the attic. Several years later when I was organising a seminar in Cannes, the Director of the hotel, Pascal Brun, put me in the exact same room but which had been transformed into a suite! What an extraordinary coincidence! You’ll remember that when I arrived in Cannes, Lucien Barrière personally welcomed me. I had an instant liking for this man and his relaxed but efficient style and his love for his hotels. He greeted all the members of his team by their first names, which totally charmed me. He loved it when people dared to open the closed doors to the supposedly sacred areas of his establishments. Many years later he decided to open his hotels to business events and seminars and I believe he was one of the first to do so. He wanted to open his hotels to the world. His biggest dream was to have a hotel in Paris; he talked about it so often. I have such fond memories of this man who did so much for Deauville. 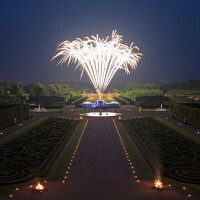 AN EVENT AGENCY IN NORMANDY ? When I returned from Cannes (and having achieved my Diploma! ), I knew I had discovered a new world. After leaving the Army I worked in exports for a while but after a few of months decided to quit to set up my own event company. And you set it up in Normandy? I would like to thank in particular Erwan Chuberre who was taken from us in 2014. 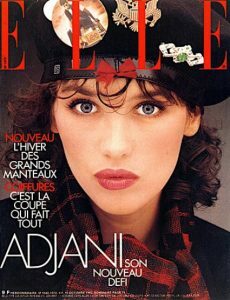 My short story with Isabelle Adjani was mentioned in his book ‘La Légende Adjani’, published in 2010 by Editions Cogito. Erwan, you are never far from my thoughts. / Festival poster an original work of Cueco. Hôtel Majestic and Hôtels Lucien Barrière.